run through the violin’s forest like a startled wind. 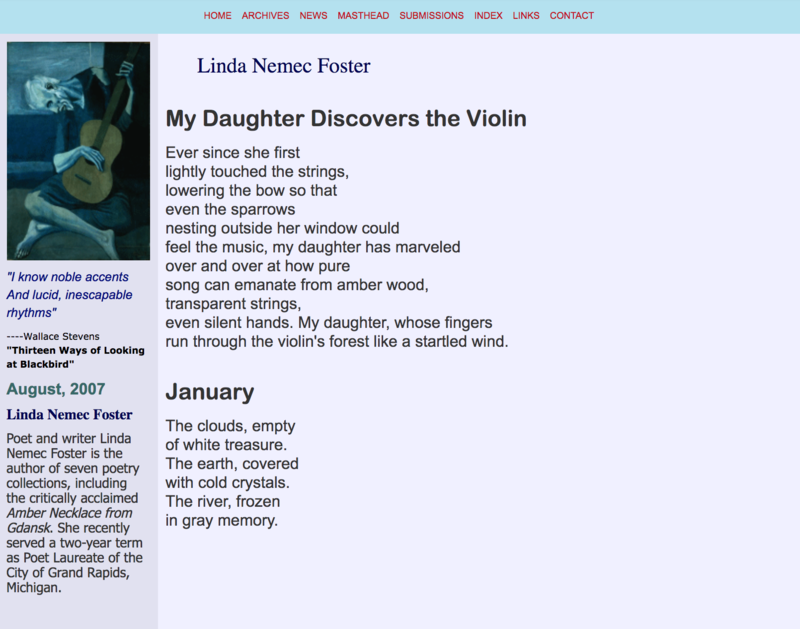 Poet and writer Linda Nemec Foster is the author of seven poetry collections, including the critically acclaimed Amber Necklace from Gdansk. She recently served a two-year term as Poet Laureate of the City of Grand Rapids, Michigan. Originally Published by Lucid Rhythms, click here to view page archive.